Love all the gears. Thanks for joining us at Sketches in Thyme! Wow, gorgeous! Love the blue/ brown combo. /thanks for joining us at Sketches in Thyme! Awesome layout love the colors you used. Thanks for joining the challenge at Sketches In Thyme. Love love love this page. Such wonderful photos. Great take on the sketch too. Thanks for playing along at SIT. 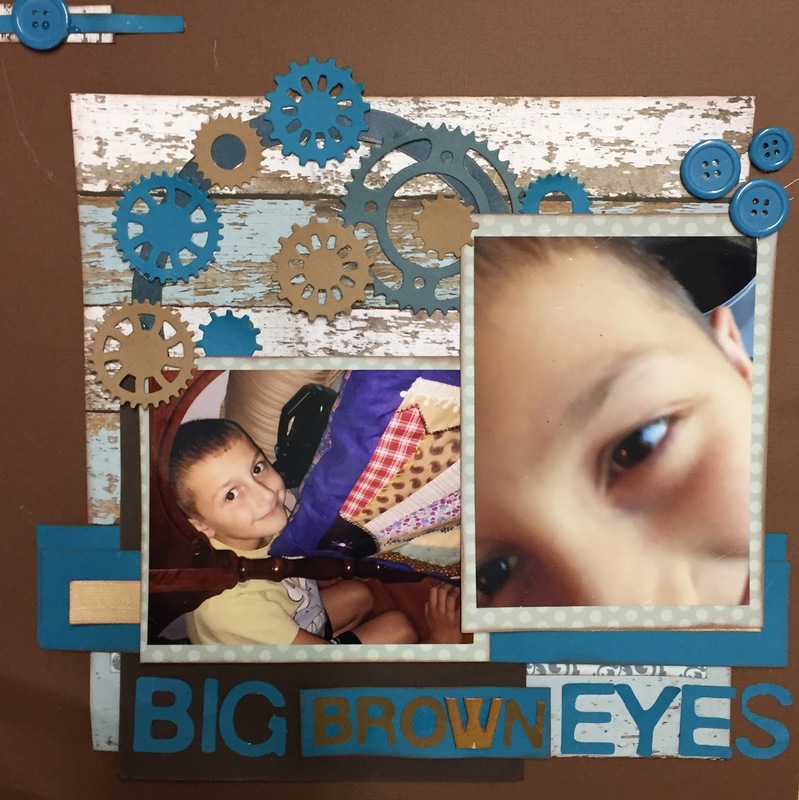 The brown and navy on your page works so very well with your photos! Thanks for playing along with us at Sketches In Thyme! The cogs are a great touch Donna.